Puma 2.4 TDCi Injector Code Programming – BAS Remaps, Powering the Landrover tuning world! 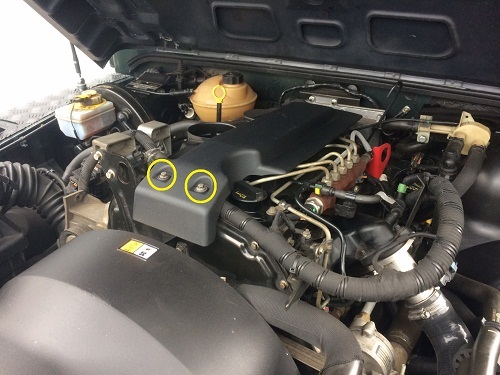 Lift the bonnet and remove the two 8mm headed bolts holding the plastic engine cover on, located on the front edge of the cover circled in Yellow. Injectors are numbered from front to back, Number 1 is at the front, and number 4 is at the back/bulkhead end of the engine. 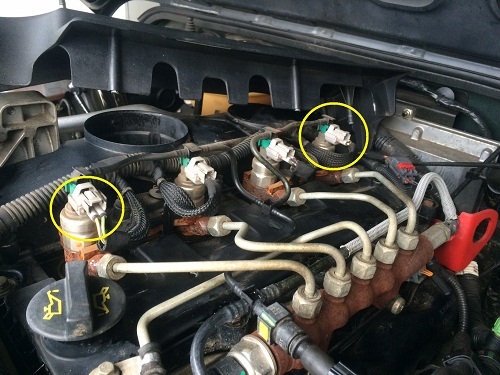 Each injector has its own unique code, this code is used by the engine management as part of the fueling control and must be entered correctly into the diagnostic tool. When programming the injectors if the pop up box is not pre populated with your correct injector codes read from within the ECU Info section then you can manually type them in for programming. Its important before removing any original ecus to read save and email your original injector codes for safe keeping where possible. We advise injector programming is only done when needed and not just for “kicks and giggles”. The ECU performs self test diagnostic routines amongst other tests and checks and also stores fault codes in its memory, these fault codes and diagnostics functions can be accessed using the Land Rover level diagnostic tools and equipment. 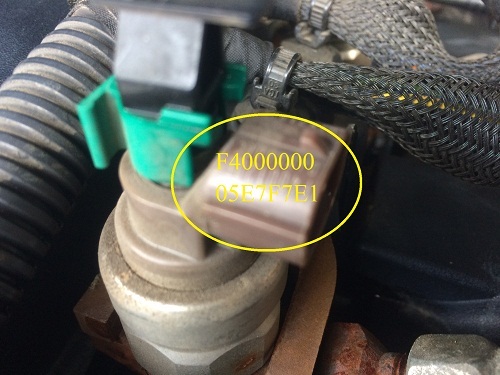 Should the ECU need to be replaced the new ECU would generally be supplied ‘blank’ and must be configured to the vehicle using a Land Rover level diagnostic equipment. After replacing any injectors its advised that you you re configure the rest of the ecu so that the new injectors are accepted fully. You are advised first to complete 1st the High pressure pump reset, and 2nd Pilot correction reset. For best results its advised by the manufacturer that this is done when the car is in standard form, once both are completed successfully you can re apply your performance remap.